Jazz Station - Arnaldo DeSouteiro's Blog (Jazz, Bossa & Beyond): Kristin Korb trio live in LA, tomorrow! 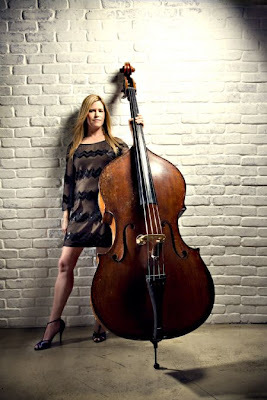 “Kristin Korb’s subtle linkage between her voice and her bass make her shine in a crowded field.” Don Heckman-L.A. Times. Imagine a player who sings in the tradition of Ella and plays the bass with the authority and swing of the great Ray Brown. With these and many other strong influences, Kristin Korb has created a style and presence all her own. She has appeared with many jazz luminaries, incl., Clark Terry, Bobby Shew, Jeff Hamilton and many others.